But the winners of the argument argued instead it represented many women's 'wish fulfillment.' It proved an effective campaign and remains a classic. 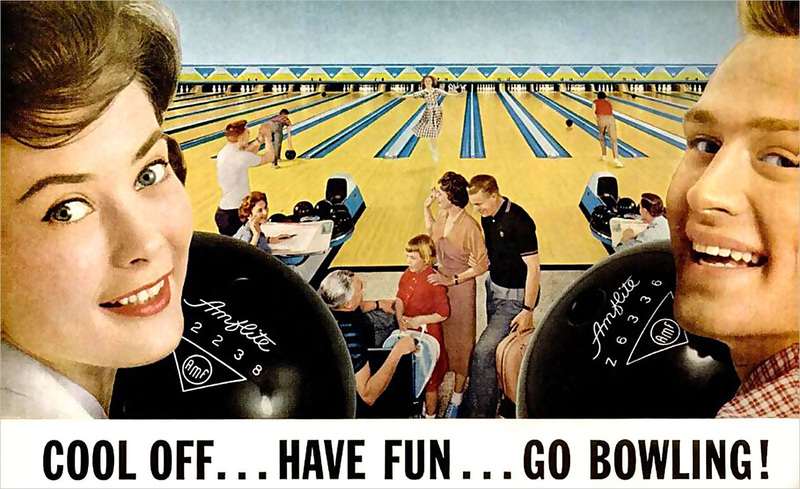 The sexual politics of the era came through in many ads. When Marlboro decided to switch their target demographic from women to men, for example, they redid the packaging and showed only the most virile men in their ads—and always with a tattoo. And this at a time when tattoos were largely restricted to sailors and ex-cons. Men were a particularly vulnerable and troubled population, researchers noted, as women began moving into the workplace in large numbers and taking on other formerly men-only roles. 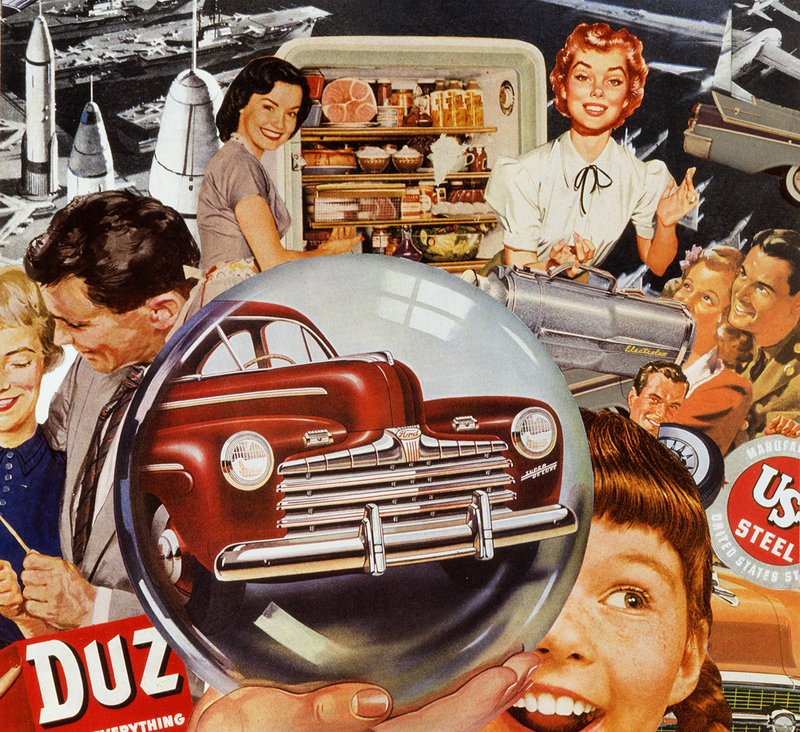 It was a time, the editor of True magazine said in 1956, when "man wants to fight back against women's efforts to usurp his traditional role as head of the family." After all, Packard commented, "Women were wearing trousers and standing up at bars." One tool that was adopted by men, at least in the fantasies of Brylcreem, was—because "a little dab'll do ya"—well-groomed hair. 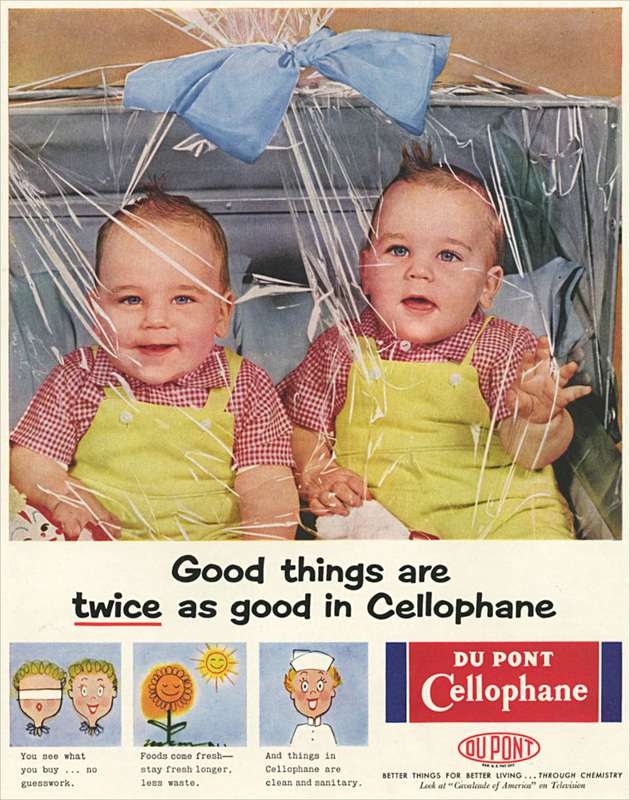 Looking back at the mid-century, with today's supposedly enlightened attention to fitness and nutrition, it's easy to laugh at ads for cigarettes, serving soda to infants, taking Pep (cereal) for more energy, and eating squishy white bread—or lard even. Folks worried about some of these things even back then. 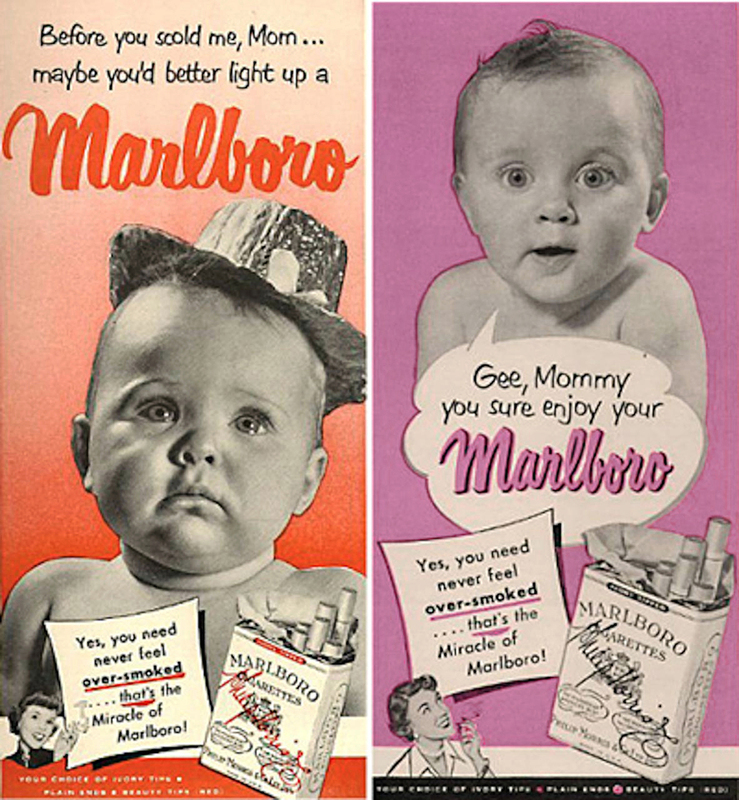 Filters, for example, were rushed into production and into cigarette ads following the 'cancer scare' of the early 1950s. Tobacco companies outdid themselves by getting endorsements from doctors, dentists, and athletes. White bread? That one's easy to explain, according to the thinking off the times. In times of anxiety, scientists realized, people want what we call today 'comfort food,' the blander the better. "Right now light foods have all the best of it," Dichter wrote, "on account of the social tensions of our times and the emphasis on the slim appearance." Market researcher James Vicary—who won fame for inserting the subliminal messages "eat popcorn" and "drink Coca-Cola" into a movie to spur candy counter sales—worried that we were entering a 'Bland New World' of white bread and tasteless beer.